French oil company Total is to receive $15 billion in Chinese credit to contribute to the financing of a $27-billion LNG plant on Russia’s Yamal Peninsula in cooperation with the Russian natural gas producer Novatek. This is the first time that Beijing has issued credit on such a large scale. French oil giant Total is to receive $15 billion from China to invest in a Russian oil and gas project on the Yamal Peninsula in northern Siberia. 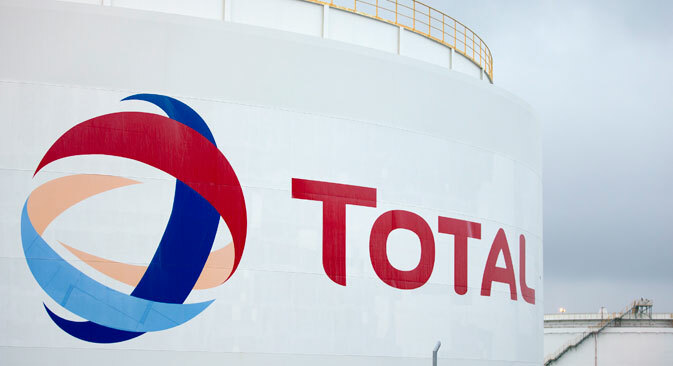 Total CEO Patrick Pouyanne said that the French oil and gas producer plans to raise $10 to $15 billion in China for the expansion of its presence in Russia. This money will be funneled into the development of the $27-billion Yamal LNG project, Pouyanne said in an interview with The Wall Street Journal. He plans on signing the deal in the middle of 2015. "There is a big desire to finance the project on the part of Chinese financial institutions," noted Pouyanne, who declined to disclose which Chinese institutions will be involved in the agreement. According to the Vzglyad newspaper, if China lends Total the $15 billion for the Yamal project, the deal will become the largest ever to be financed by Chinese banks. For now the largest Chinese investment was the $12-billion syndicated loan that was given to Daimler AG in 2013. Western sanctions against Russia meant that Total was unable to source credit on such a large scale in Europe or the U.S., especially since it involves an oil project in Russia, although sanctions were not imposed on Yamal LNG (at least for base contracts). "Approaching Chinese banks is practically the only way to bypass the restrictive measures that the West has imposed on Russia," says Alyona Afanasyeva, senior analyst at the Forex Club. The Yamal LNG project has three participants: the private Russian company Novatek with 60 percent, Total with 20 percent and the Chinese CNPC – also with 20 percent. The Yamal project foresees the construction of an LNG plant with a 16.5-million-ton capacity on the territory of the South Tambeisky deposit. The launch of the Yamal LNG is planned for 2017. Proven and probable gas reserves at the site consist of 907 billion cubic meters. In July 2014 the U.S. imposed sanctions against the project's main shareholder, Novatek. However, this did not result in the project being canceled: In fact it has received support from the government. In mid-February, Prime Minister Dmitry Medvedev lifted value-added tax on all technical equipment destined for the Yamal LNG. The Ministry of Finance and the Ministry of Economic Development have also promised the project financial support. Novatek has already completed almost all the work on organizing the port and the quay wall at the Yamal site, and the project is proceeding as planned. "Total's long-term prospects have not gotten worse, revenues are not seriously threatened and access with LNG to the Asian-Pacific Region market is extremely important for all large vertically integrated oil companies," says Dmitry Alexandrov from investment company Univer Capital. "Times of crisis always present the possibility to strengthen one's positions in a certain market," says Alyona Afanasyeva. "In conditions in which a series of international companies stopped their active collaboration with Russia, Total's readiness to ‘act contrarily’ guarantees it future dividends in the form of closer cooperation, especially when the toughest phase of the geopolitical conflict passes." The article is abridged and first published in Russian in Vzglyad newspaper.